Engineers from NASA’s Marshall Space Center in Huntsville, Alabama are collaborating with the Buffalo, New York based company CUBRC Inc. to conduct a series of tests that will provide important information about the heating conditions at the base of the space agency’s Space Launch System (SLS) rocket. As NASA works to get this new heavy-lift booster off the ground and into the skies – these latest tests should assist in the agency’s efforts. 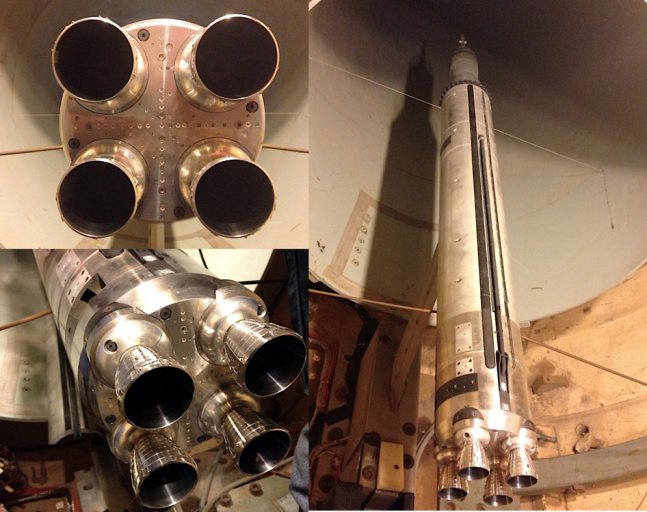 The NASA engineers have been working with CUBRC to design and build 2 percent scale models of SLS propulsion system. The tests will use models of the SLS’s two five-segment solid rocket boosters and four core-stage RS-25 engines and a 6.5 foot tall scale model of the entire rocket. The models are fired for brief durations of about 50-150 milliseconds per test. Testing of the scale models will provide information on the heating conditions that the base of the SLS will experience during both planned and unplanned flight events. Data from the series of tests will be used to verify flight hardware design environments and set specifications for the thermal protection system of the rocket’s base. The system will protect the rocket’s systems and crew from the extreme heat created by the engines during liftoff and ascent. Testing of the core stage in normal launch scenarios was conducted first, followed by testing of the entire SLS model in early January. The full-stack configuration had 200 heat flux and pressure sensors inside the aft section of the rocket for data collection. Over 30 test cases out of a planned total of 85 have been performed. The test series, which began in August 2014, is scheduled to conclude early this summer. The test program takes advantage of new technologies that weren’t available during the development of previous human space flight programs, such as high-speed visible light and infrared cameras, laser diagnostics and new designs of model propulsion systems to more accurately simulate full scale rocket engines. It took about a year and a half to design and build the models to flight specifications. For the test series the models are loaded with propellant, pressurized with oxygen and hydrogen lines and ignited inside of one of CUBRC’s shock tunnels. 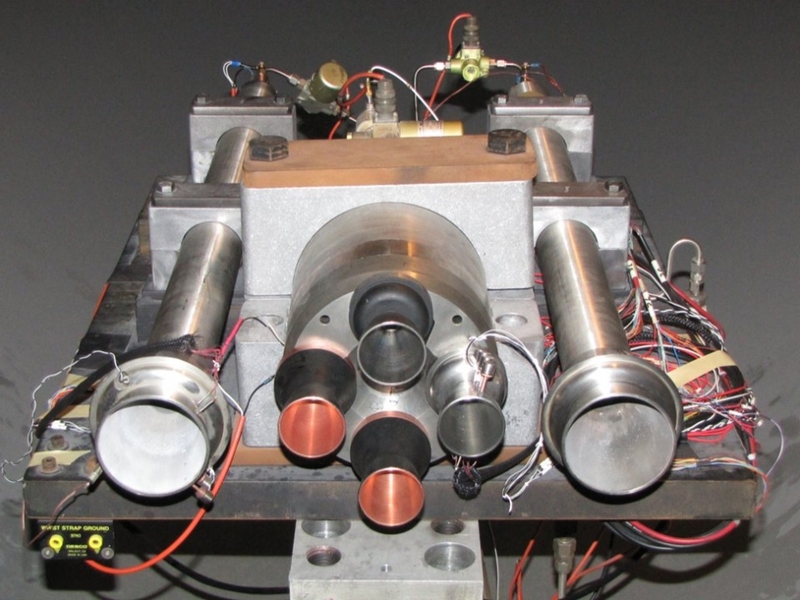 The shock tunnels replicate both supersonic and hypersonic flight conditions, simulating environmental conditions that the rocket will experience during ascent including temperature, pressure and velocity. The first flight test of the SLS will launch an uncrewed Orion spacecraft beyond low-Earth orbit to test the performance of the integrated system. 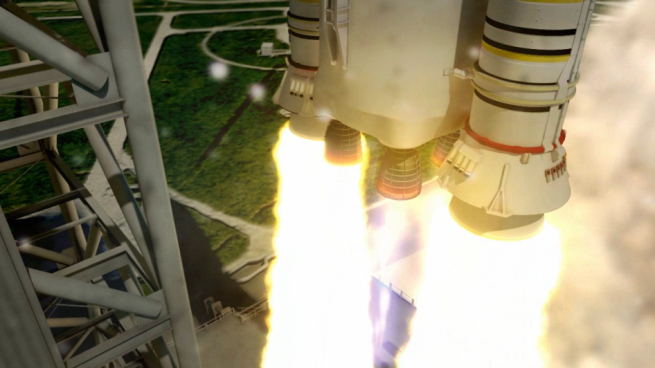 The flight test, which will use the 70 metric ton (77 ton) lift capacity configuration of the SLS, is scheduled for 2018.